Planning for Open Farm Sunday on 11th June is going well. We hope you can join us on the day, hosted by our farming operation, Oldershaws of Moulton at St Lamberts Hall Farm, Weston. 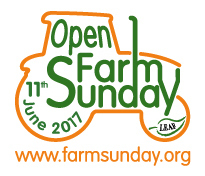 visit our Open Farm Website at www.openfarmsunday.co.uk for more information.